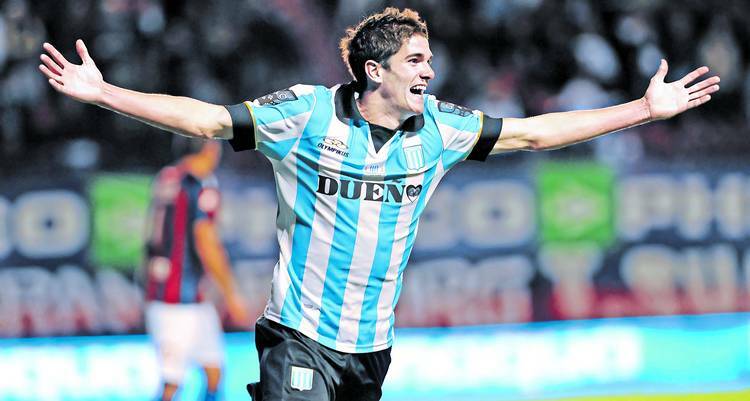 Valencia snap up Argentine youngster, Rodrigo De Paul – who wins from this deal? Racing Club President, Víctor Blanco has confirmed that 19-year old, Rodrigo De Paul has signed for Valencia for $6.5 million. Valencia Head Coach, Juan Antonio Pizzi will have seen plenty of De Paul from his time in charge of San Lorenzo and it appears Los Che have stolen a march on Udinese, who had previously been linked with a move. Despite Racing’s woeful performances on the pitch, they are still a club that manage to continue their tradition of producing talented youngsters. There current financial plight makes the move a good one for Racing, as in addition to the fee, it is understood that they will receive 10% of any future transfer fee and may have an option of loan players from Valencia. Three of the names already being mentioned are Pablo Piatti, Ever Banega and Federico Cartabia. So a good deal for Racing, what about Valencia? In modern European football, $6.5 million is not a huge transfer fee and so this looks like very good value. At only 19, De Paul is far from the finished product but his potential is huge and while Racing have struggled in recent times, he has been a rare bright spark. It is as a result of these struggles that perhaps this is also a good move for De Paul also. A talented playmaker, he would be best suited to a central role but all to often at Racing, finds himself out on the left. Additionally, as Racing toil for 90 minutes, De Paul drops deeper and deeper to get the ball and has less of an impact on the game. Not being able to have as much of an influence further up the pitch is detrimental but positively speaking, this characteristic shows a responsibility and leadership that go beyond his years. At just 19, playing time will be important but given the fee and the timing, this is a deal that suits all parties and will be interesting to see how De Paul develops in Europe.